It’s a a good time of the year to talk about the cost of pet ownership. As Christmas approaches, many people will be thinking about adopting a furry friend. Before you do, it’s important to balance the financial costs and commitments of owning a pet with all of the benefits. In 2010, a Bankwest study found that the average Australian dog owner spends $2,452 per year on their pooch. That’s nearly $25,000 over a 10 year lifespan. The biggest expense is food ($23 a week), followed by vet costs, then additional services such as grooming, training and boarding. According to the RSPCA, cats are not any cheaper. First year expenses for cat ownership range from $1,355-$2,545. The variation accounts for buying from a breeder versus rescue centre, whether you have the cat de-sexed, and how much equipment you buy for it (scratching post, toys, litter trays etc.) 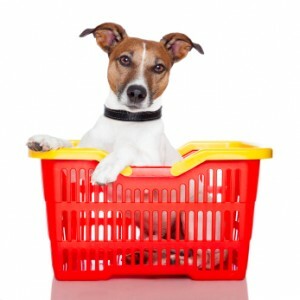 The RSPCA suggests that the minimum spend for each consecutive year will be $720. See the RSPCA’s website for a cost breakdown. 1. Look for a pet and breed that matches your budget and lifestyle. You could contact some breeders and owners to get a realistic idea of costs and commitments. There are professional associations for breeders of all sorts of pets: dogs, cats, rabbits, guinea pigs, mice, rats, ferrets, birds, fish, turtles etc. You’ll find them on the internet. 2. Rescue an animal. Instead of buying from a breeder, think about adopting from an animal rescue centre. The cost is usually cheaper and the animal should come de-sexed, treated for worms and fleas, micro-chipped, vet checked, and vaccinated. Be certain that you ask about any pre-existing medical conditions, behavioural issues, and that you understand the nature of the animal’s breed. 3. Keep your cat inside and your dog’s teeth clean. Vets say that most cat injuries happen when they’re wandering and fighting at night time, and that many canine medical conditions can be avoided by keeping your dog’s teeth in good condition. (Actually, the benefits of good dental health apply to all toothed animals, including us!) Annual checkups, de-sexing, vaccinations, regular worming and other types of preventative care are all good investments for the long-term. Make sure that you include these expenses in your long-range budget. 4. Don’t overfeed your pet. Vets warn that overfeeding can lead to all sorts of serious long-term health problems including joint deterioration, high blood pressure, heart failure, respiratory ailments, decreased liver function, skin conditions and diabetes. For cats and dogs, vets recommend that you choose a complete food in which animal protein is listed as the first ingredient. 5. Consider pet insurance. Yes, we've arrived at the day and age where you can take out health insurance for your dog or cat. Most insurers offer a range of policies including accident, illness and routine care cover. Another form of insurance is to increase your monthly contingency savings to cover any unexpected vet costs that might (read: will!) crop up. If you're thinking about getting a pet and wondering how it will fit in your budget, feel welcome to contact MyBudget's customer service team to chat about it.